The St. Louis Weekend Events Guide for Thursday, November 5th through Sunday, November 8th, 2015. Whitaker St. Louis Filmmaker’s Showcase:​ SLIFF will screen 447 films this year: 97 narrative features, 86 documentary features, and 264 shorts. The fest also will feature seven special-event programs, including two free master classes and the closing-night party. Among the highlights of this year’s ​fest is a trio of programs featuring actor/writer/director Alex Winter, a former St. Louisan who received the fest’s annual Charles Guggenheim Cinema St. Louis Award. ​SLIFF blasts off with ​Winter’s documentary “Deep Web” on Nov. 5. He’ll also accompany screenings of “Bill and Ted’s Excellent Adventure” on Nov 6 and “Downloaded” on Nov 7. Single show tickets are $12 (some exclusions). Festival punch passes: 6-ticket pass for $65 or 10-ticket pass for $100 (some exclusions). Camouflage Party: Hunting season is just around the corner. Come celebrate the start of the season, camo and all, at PBR St. Louis. Dress in your camo best in anticipation of the season and enjoy contests, giveaways and more! Giveaways include an exclusive PBR St. Louis camo hat, limited quantities are available so arrive early. And don’t forget the classic PBR entertainment including the Buckle Bunnies, dancing and bull riding. 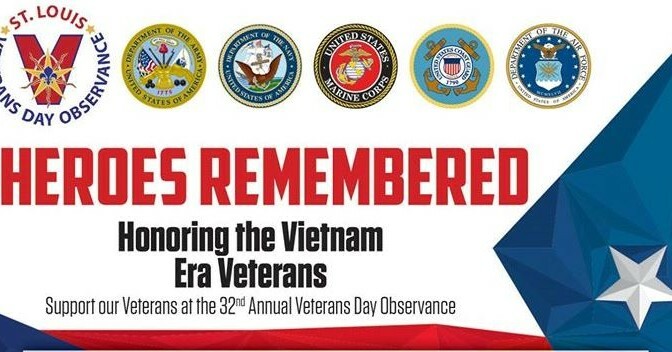 32nd Annual Veterans Day Observance: The museum will open at 9am with military displays, a Veteran postage stamp dedication, food, and patriotic music throughout the day. At 10am the USAF Band of Mid-America will perform followed by a Veterans Day Ceremony at 10:30am. The Veterans Day Parade begins at 13pm with the Massing of the Colors. 10th Annual Cranksgiving: A family friendly bicycle ride and food drive hosted by BWorks benefiting Food Outreach. Hop on your bike and ride from grocery store to grocery store with other cyclists purchasing needed food items from a list. Each participant is asked to donate $15 to $20 in food items needed to stock the Food Outreach pantry. Then bring them back to the City Museum and enjoy a post-ride party with Urban Chestnut beer, camaraderie, and activities for the kids. 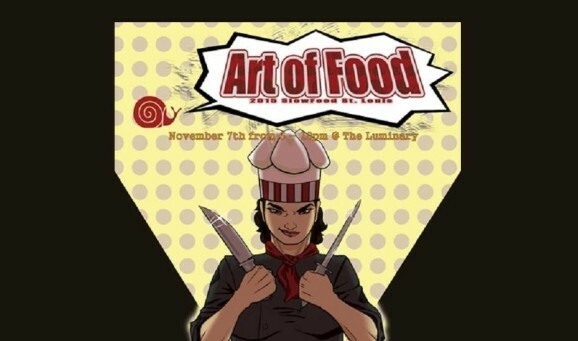 10th Annual Art Of Food: A showcase of the area’s top restaurants, serving up delectable hors d’oeuvres using as many fresh, local ingredients as possible, all prepared in the Slow Food tradition. Each chef will partner with a farmer and each tasting will feature a paired local beer, wine or cocktail sample (glass included). 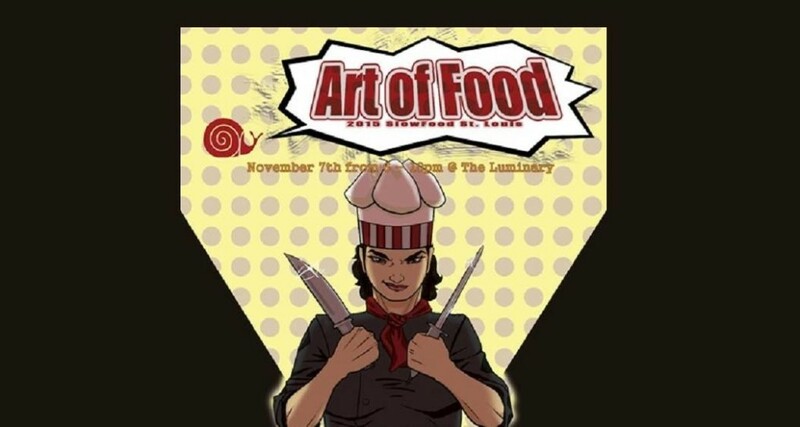 An auction of fabulous food items will raise funds for the Slow Food St. Louis Biodiversity Farmer Micro-grants program and give you a chance to do some holiday shopping for a good cause. Live music by One Take Band. GA tickets are $65. 6th Annual Green Ball: Shimmer into your emerald sequins and shake your teal tuxedo tails at the 6th annual Green Ball. The evening will include: creative cocktails, beer and wine, locally-sourced cuisine and desserts and dancing to the live music of The Trip Daddys, a photomaton photo booth, serenades from Eco Elvis, and more. The Green Ball benefits the EarthWays Center of the Missouri Botanical Garden, supporting some of our region’s best sustainability education work. Creative “green” attire is encouraged. Costume contest prizes are swell and sustainable. Cost is $40 for Garden members, $50 for nonmembers. Bio Bash 2015: An opportunity to interact with scientists and researchers in the St. Louis area at a networking mixer hosted by the Danforth Center’s Committee for Scientific Training & Mentoring. There will be a speaker presentation from featured guest Travis Sheridan, executive director of Venture Café, followed by a poster and networking reception at 6:15pm. The event is free to attend but advanced reservation is required. Inspired Hands: A once a year opportunity to enjoy a weekend with award winning artists. Meet and greet with the artists while browsing their artwork including: jewelry from metalsmith Lanie Kodner, porcelain pottery fired in a traditional wood kiln by Charity Davis-Woodard, garden inspired sculptures by Susan Bostwick, and more. St. Charles Firearm & Military Collectibles Show: St. Louis’ largest firearm and knife collectibles show with over 500 tables with new and used rifles, pistols, shotguns, commercial and collectible ammunition, field equipment, antique firearms, flags, helmets, custom knives, medals, swords, uniforms and more. Buy, sell, or trade. Admission is $10. Children 12 and under are free. Art & Wine Walk: Stroll through Main St and check out the works of local artists while tasting local wines. Check out jewelry, pottery, photography, Sips & Splatters featured art, paintings, wood furniture, and more. Perfect holiday gifts. Participating wineries include: Crown Valley Winery, Crown Valley Distillery, Crooked Creek Winery, Fox Creek Winery, Lincoln Heritage Winery, Stumpy’s Distillary, The Weingarten, and more. Registration is $20.